Whether you've read Kevin Kwan's bestselling novel or laughed and gasped at this summer's must-see movie adaptation, one glance into the lives of "Crazy Rich Asians" is enough to get you obsessed. And while the picture painted certainly seems over-the-top, Kwan has explained that it was inspired by his own upbringing. Yes, this world of insane luxury actually exists - how else would haute couture ateliers stay in business? As for the real-life Astrid Leongs on the scene? Well, meet two of them. Twenty-one-year-old fraternal twins Michelle and Rachel Yeoh have wardrobes and Insta followings to rival those of your favorite fashion bloggers, but their influence extends far beyond social media. The Malaysia-born, London-based sisters are the heiresses to the YTL Corporation's multi-billion dollar fortune. Their Malaysian-Chinese family is one of the most distinguished in Asia (and, well, the world), and they have come into the spotlight thanks to their glamorous style and social lives. 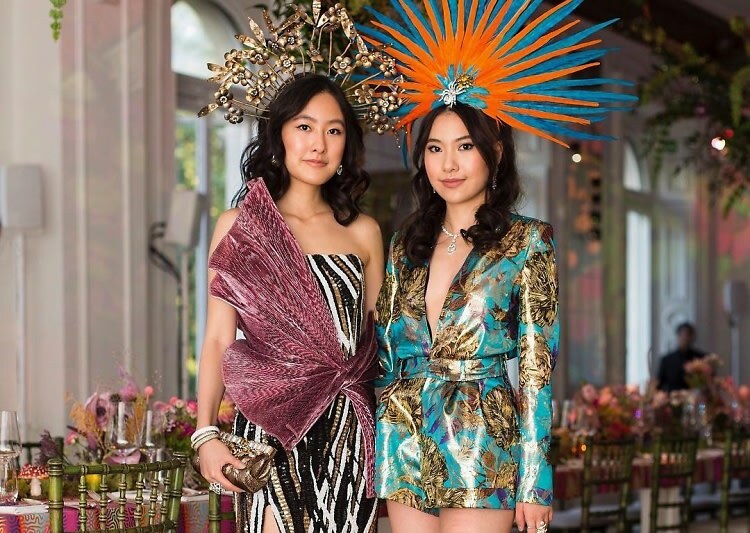 From front rows and runways to private jets and unbelievable trips across the globe, click through for a look inside the lives of the Yeoh girls.